Irritant diaper dermatitis. It’s better known as diaper rash and, as a mom to two daughters, it’s something I’m very familiar with. With my first daughter, I had a few anxious visits to the doctor about her inflamed bottom. He assured me that diaper rash was very common and, most often, can be easily cleared up using a simple diaper rash cream. I made sure to always have a supply of diaper rash cream with me wherever I went with Olivia. Back then, I was mainly using Zincofax®. That was over 16 years ago and it’s a brand that is well-known and loved with parents and caregivers of today! I have many cousins and friends in the area with young babies, which is great for me whenever baby fever hits! I love taking care of their little ones and it reminds me a little of when my own girls were young. However, one thing I remember is how much work babies are and that hasn’t changed a bit. I enjoy giving advice to my younger cousins who are just starting their families. It’s nice to be able to offer them tips about what worked for me and to help them navigate through the trials of motherhood. My cousin’s little guy frequently has diaper rash. She said it’s gotten worse since he switched to mainly eating solid foods. I told her about a new product that I thought would help him: Zincofax® Spray. It’s a quick and easy spray-on ointment containing zinc oxide and is used to prevent and treat diaper rash. I spent a few hours with her catching up over coffee and playing with her son. During that time, he needed a diaper change. It’s like riding a bike. You never forget how to do it. Instead of applying the diaper rash cream with my fingers, I simply sprayed the Zincofax® Spray over his diaper area. The fresh, clean diaper went on and it was back to playtime. I think the new delivery method is great! Your hands don’t get greasy spreading the cream over a sensitive (and sometimes sore) area and it’s quick and easy. I left the bottle with my cousin to continue to use. We chatted today and she told me how she loves its convenience. It’s perfect for use at home and on-the-go. 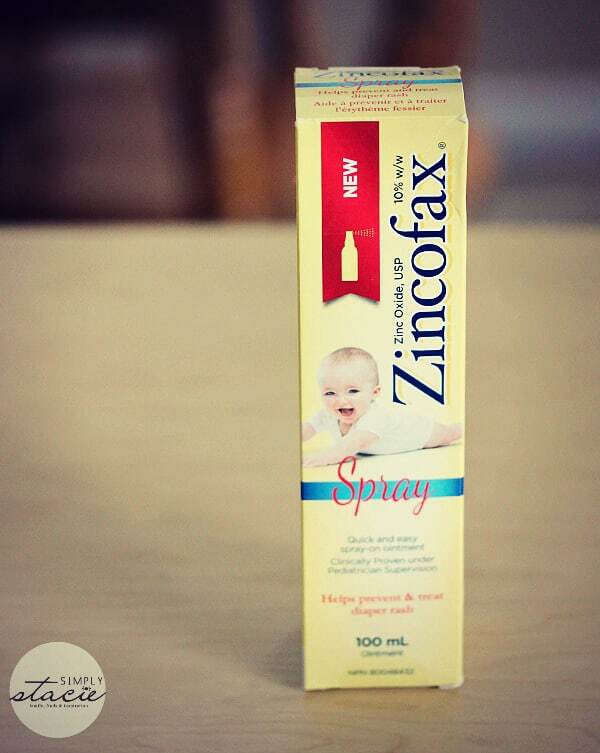 Zincofax® Spray – A new and surprisingly easy way to protect your baby’s bottom. Zincofax® Spray is a new, spray-on ointment from the makers of Zincofax®, the #1 pharmacist recommended brand in Canada for diaper rash treatment. 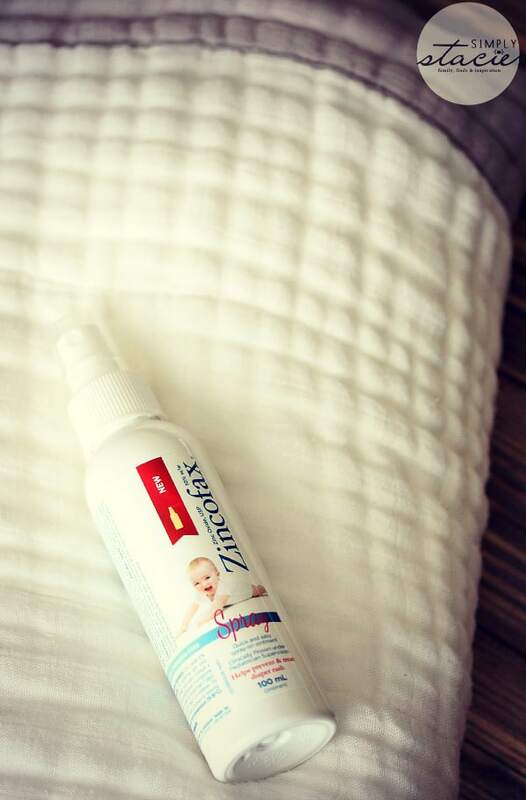 Available in Spray, Original, Extra-Strength and Fragrance-Free formulas, Zincofax® has been used by parents to treat diaper rash since 1945. For more information, please visit www.zincofax.ca. Disclosure: This post was brought to you by Paladin Labs Inc via Glam Media Canada. The opinions expressed herein are those of the author and are not indicative of the opinions or positions of Paladin Labs Inc.
Will have to tell a couple of my friends about this, the spray form would be very handy! Glad to see Zincofax is still around keeping little bottoms protected! Good products endure the test of time and Zincofax has been around a long time. I remember using it on my own children. I think its wonderful that it comes in a Spray. Why didn’t someone think about this a long time ago. Thanks for the review. Thanks for sharing, I never heard of this and love how it comes in a spray form. I am defiantly getting some. I have never heard of Zincofax® but I’m glad to hear that it worked for you. I love that it comes in an easy to use spray-on ointment. Thank you for sharing this review. How convenient! I didn’t realize they made a spray. I try to give diapers and some general needs like this as baby gifts. Thanks. I so wish that they had this when I was dealing with my twins’ sore backsides!